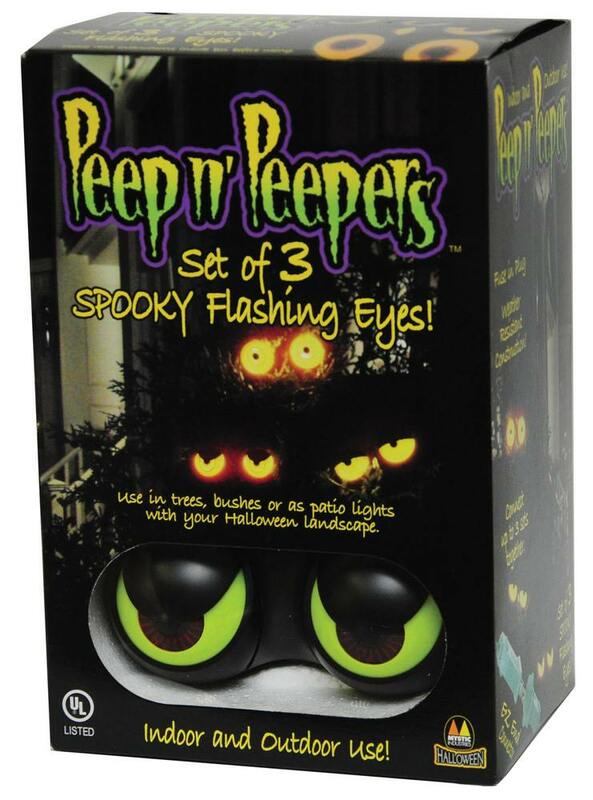 Make your bushes and trees come alive with theses spooky eyes watching everyone who passes by. 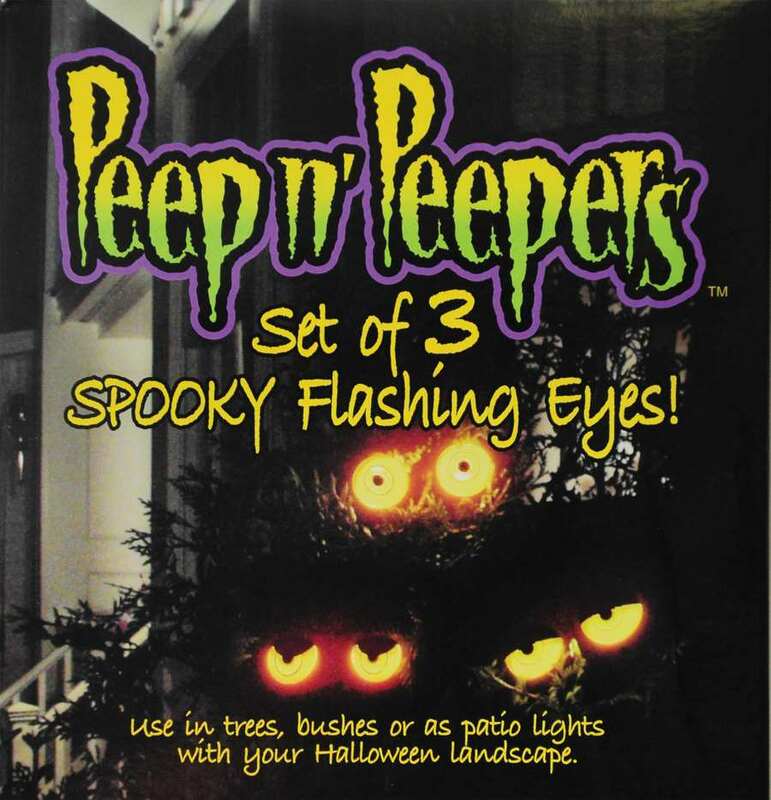 Peep N' Peepers consist of 3 sets of eyes per light string (white with blue eyes, yellow with red eyes, and purple with yellow eyes). Each set of eyes individually flashes and eye lids rotate. 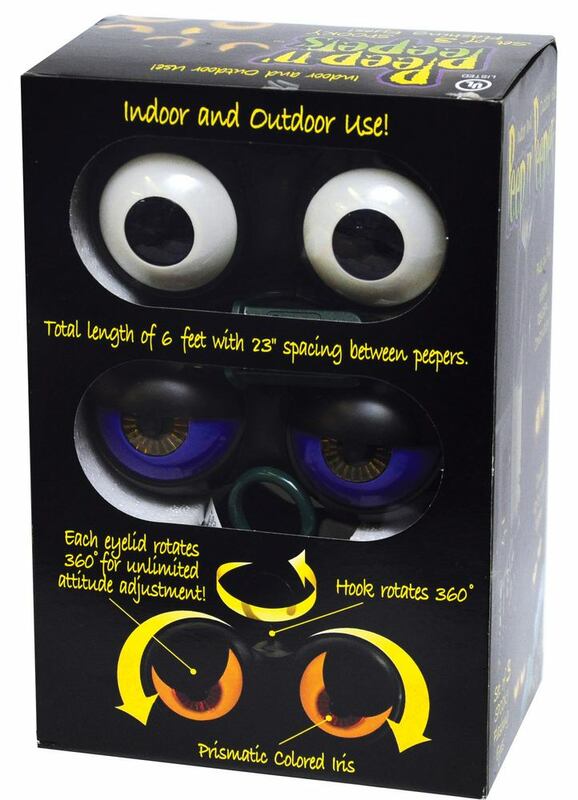 Each pair of eyes comes with hook for hanging in bushes and trees. Full color box and UL listed. Simply plug into a 110 outlet.